Though history records Les Archer as being European motocross champion in 1956, results, or lack of, at the start of the season suggested a different outcome for the series. Les could well have graced the tarmac scene, he was certainly good enough. 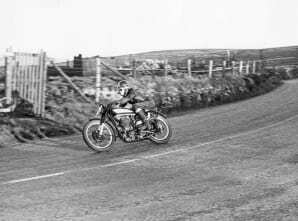 In an interview with Ralph Venables, published in The MotorCycle in September 1956, Archer admitted his season had started badly, something backed up by the reports of the first three events. Not that these reports were in-depth, as for some reason despite the UK having a reigning European champion in BSA’s John Draper, the 1956 series attracted only minor coverage for the foreign events. It was left to Venables to tease out the reason for the early season problems which Archer allowed were due to a front brake problem in the first round, a melted spark plug in the second and a crash in the third. Luckily for the ‘Aldershot Flyer’ each of the rounds were won by a different rider, so spreading the points a bit.